Germany summons Iran’s ambassador to warn Tehran against spying on individuals and groups with ties to Israel. Germany has summoned Iran’s ambassador to warn Tehran against spying on individuals and groups with close ties to Israel, calling such acts an unacceptable breach of German law, Reuters reported on Tuesday. The move came after the conviction of a Pakistani man for spying for Iran in Germany went into force. Mustufa Haidar Syed-Naqfi was convicted last March of gathering intelligence on Reinhold Robbe, the former head of the German-Israel Friendship Society, and an Israeli-French economics professor in Paris, for Iran’s elite Revolutionary Guards. 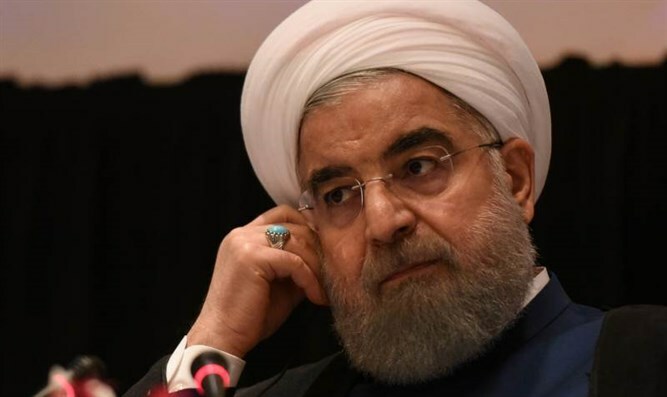 News of his arrest first surfaced last January, when the German Federal Prosecutor announced that it had indicted him for espionage activity against “institutions and persons” in Germany on behalf of the Iranian regime from July, 2015 through July, 2016. The Foreign Ministry in Berlin summoned the Iranian ambassador to deliver the rebuke once the German constitutional court rejected his appeal. The meeting took place on December 22 but was not disclosed until now. “Spying on people and institutions with special ties to the state of Israel on German soil is an egregious violation of German law,” a ministry official said, according to Reuters. The official said Philipp Ackermann, acting director of the Foreign Ministry’s political section, had told the Iranian ambassador that “such activities would not be tolerated and were completely unacceptable”. German Foreign Minister Sigmar Gabriel said in 2016 that Iran could only have normal, friendly relations with Germany when it accepted the right of Israel to exist. Last June, Gabriel admitted Iran and Germany are "worlds apart" on Israel's right to exist, which he stressed is "non-negotiable". The summoning of the Iranian envoy comes ahead of a meeting in Brussels between foreign ministers of Iran, Germany, France and Britain. The meeting will discuss the 2015 nuclear agreement with Iran and concerns about Iran’s crackdown on anti-government protesters. Germany, which helped negotiate the nuclear deal, has sought to balance its interest in expanding trade ties with Iran with its commitment to human rights, noted Reuters. Germany’s domestic intelligence service, which handles counterespionage, highlighted Iran’s spying activities in its annual report in July, saying that Tehran was focused heavily on Israeli or pro-Jewish targets.